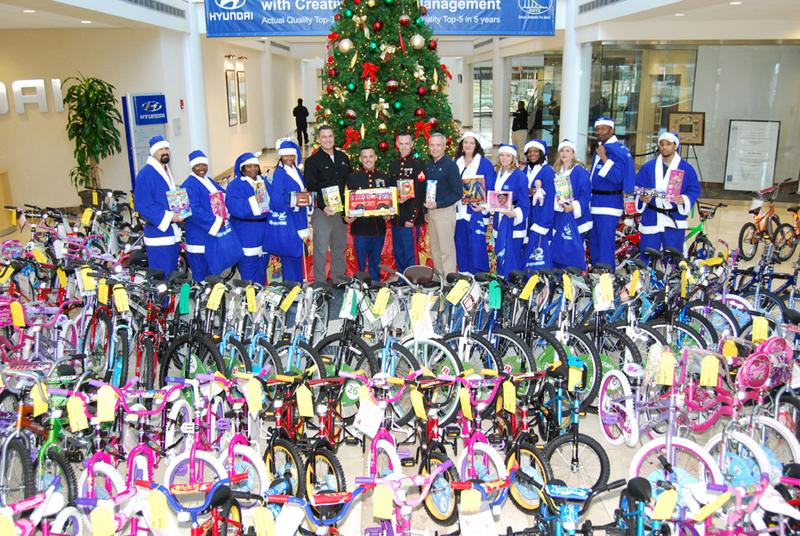 Toys for Tots 2010 | Hyundai Motor Manufacturing Alabama,LLC. 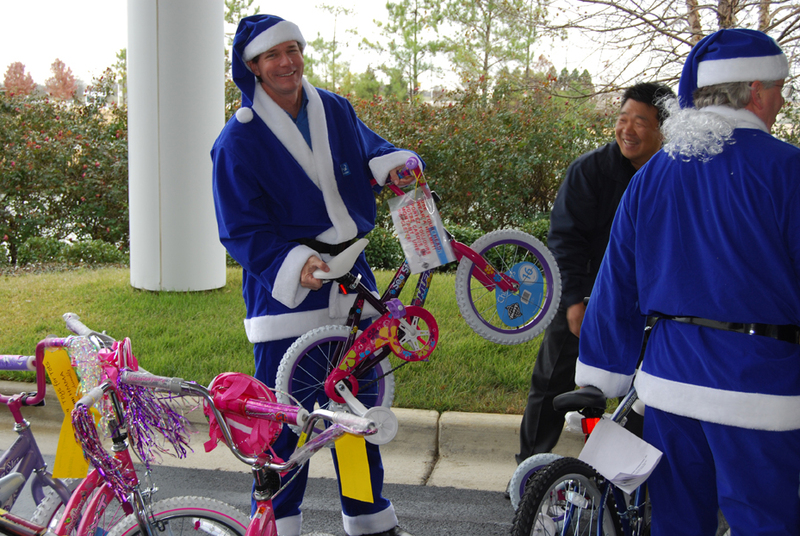 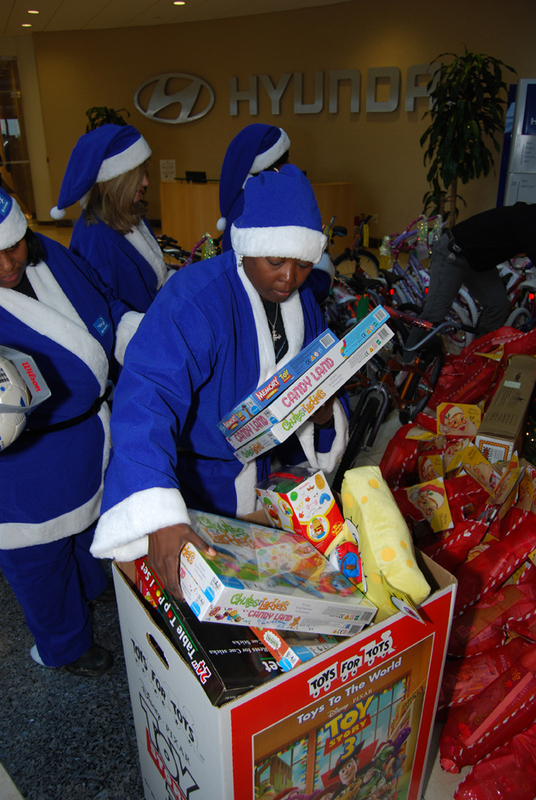 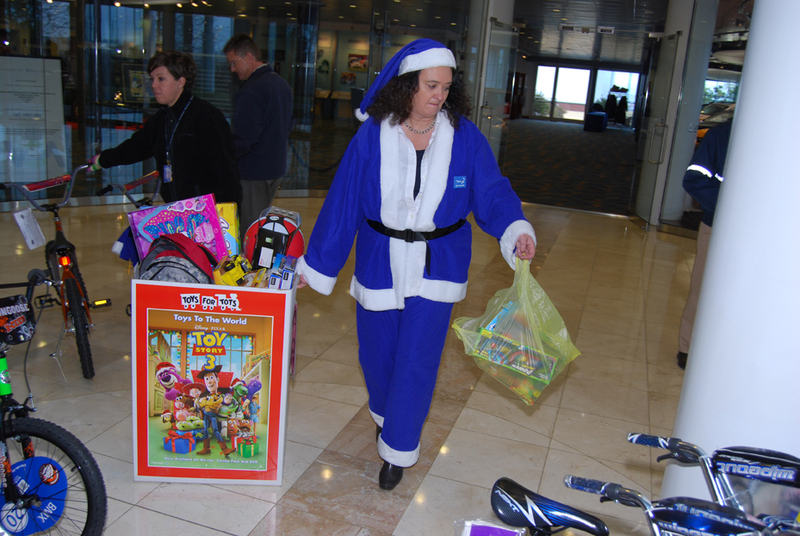 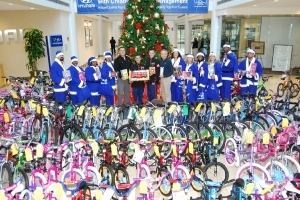 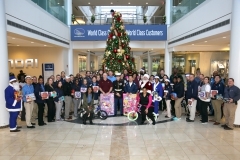 In 2010, Hyundai Motor Manufacturing Alabama Team Members joined forces to purchase seven full boxes of toys and donate 173 bikes for needy children in the River Region. 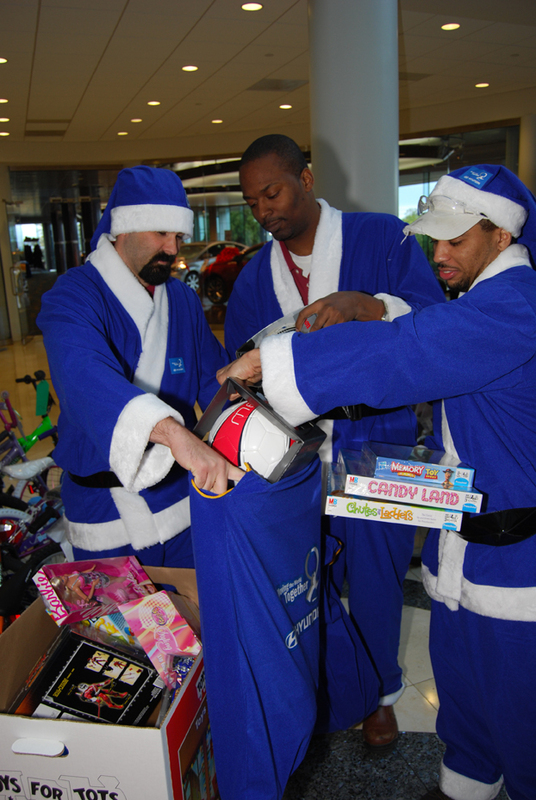 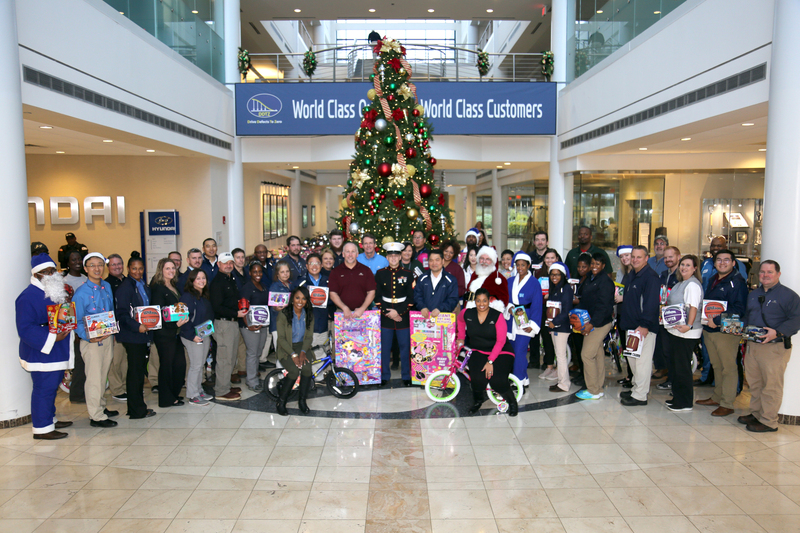 The toys and bicycles were donated to the annual Marine Corps Reserve Toys for Tots campaign. 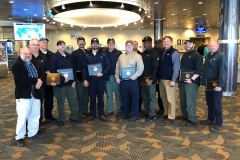 This was the sixth year HMMA team members have participated in this rewarding campaign. 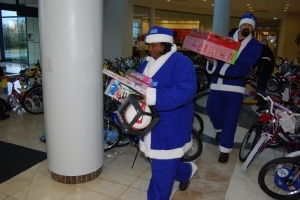 The Marine Corps adopted Toys for Tots in 1948 and expanded it into a nationwide campaign. 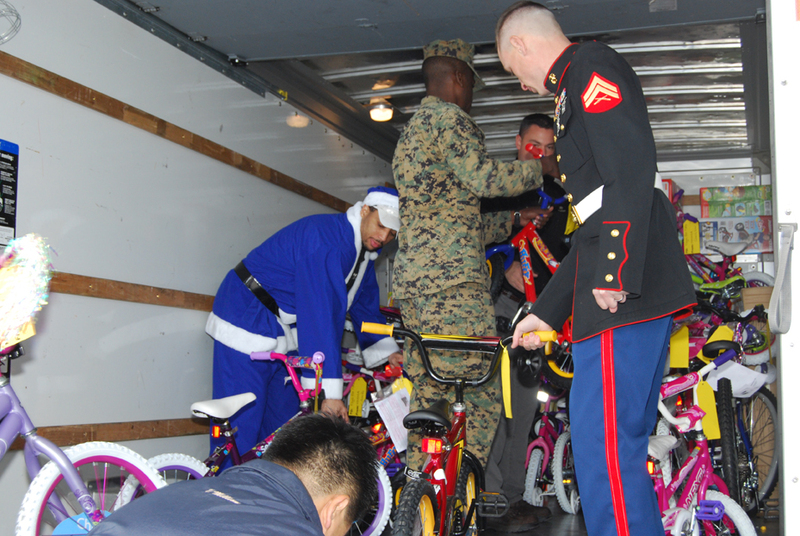 Marine Corps Reserve units across the nation conduct Toys for Tots campaigns in each community in which a Marine Reserve Center is located. The program’s initial objective – “bring the joy of Christmas to America’s needy children” – remains the hallmark of the program today. Over the 62 years of the U.S. Marine Corps Reserve Toys for Tots Program, Marines have distributed more than 400 million toys to more than 188 million needy children. 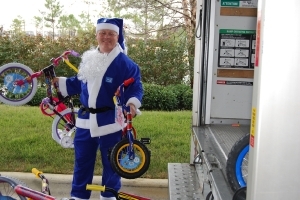 Over its 18 year life span, the Marine Toys for Tots Foundation has supplemented local toy collections with more than 81.3 million toys valued at more than $487 million; plus has provided promotion and support materials valued at over $6.3 million.